The PartyBooth is an experience, a celebration, a mini photography studio. It makes and keeps memories for you. It’s an easy way to give a take-away gift or share with your friends online later! 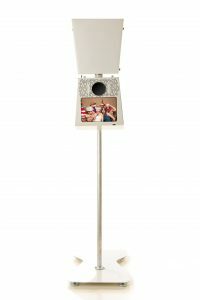 This is not your parent’s photo booth, the PartyBooth is fun for every occasion! Terpstra Photography offers this streamlined and contemporary service within our packages at an affordable price with many options available. You can choose from a variety of standard options or upgrade backdrops, themed prop-kits, and customized photo printouts. Visit the PartyBooth website for more information on background options, different themed prop kits, and more ways to customize your PartyBooth experience!